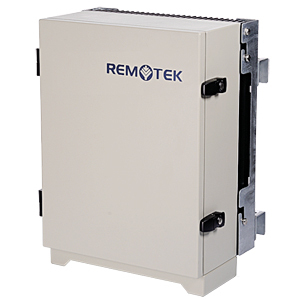 Remotek’s Frequency Shifting Repeater is used for GSM or DCS signals coverage extension for long distance outdoor applications. The Frequency Shifting Repeater consists of a Master unit (MU) and a Remote unit (RU). The MU shifts the signals from working channels to unused channels at different frequencies, and transmits to the RU. The RU shifts the received signals back to their original frequencies, amplifies and transmits to the coverage area. With the frequency shifting technique, 360° degrees coverage can be achieved, and the problem of isolation can be completely neglected. The Frequency Shifting Repeater is mainly used for large rural areas with low traffic including highway, tourist spots, tunnels and villages. With advantage of low power consumption, solar power can be used as its power source. Therefore, it can be applied to hard-to reach areas where AC power is not available. This solution can be used to replace the BTS that utilizes the genset as its power source; therefore the OPEX would be reduced effectively.